Researchers have thought that cancer begins when a single cell goes rogue in the body, then begins to grow and multiply. Now, they are investigating evidence of more damage when a group of cells breaks off from a colony and more follow, leading to large-scale metastasis. 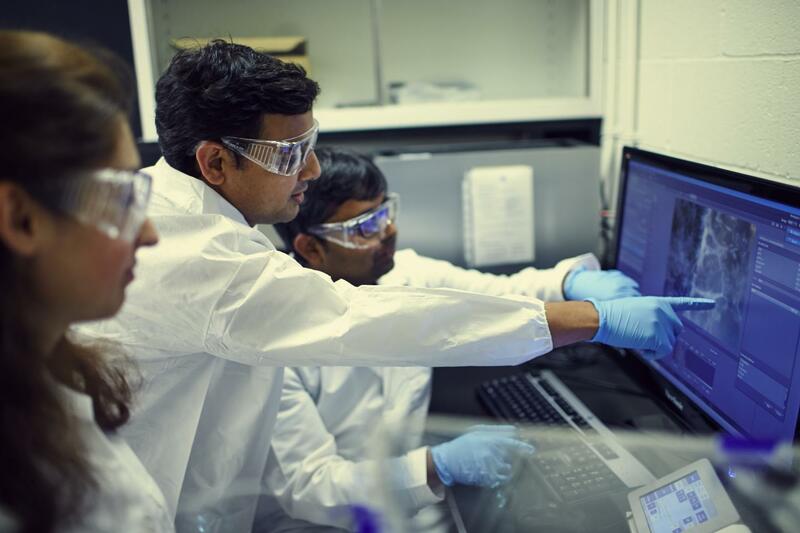 Pathak, assistant professor of mechanical engineering and materials science in the School of Engineering & Applied Science, plans to build on previous research into cell behavior in mechanically heterogeneous environments. His work centers around the epithelial-mesenchymal transition (EMT), or cells' transition from a group to independence. Epithelial cells, which are found in blood vessels and in the lining of various organs in the body, can change into mesenchymal cells, which are important in both embryonic development and cancer metastasis. Most healthy cells like to stay together, but in disease processes such as cancer, the integrity of the group is somehow compromised. In previous research, Pathak showed that the stiffer the tissues, the more likely EMT will take place.